Learn how to use the New Relic tools to establish an application baseline; with a complete KPI model as your benchmark data, you can then set targets for their eventual cloud-based performance. Once you determine which on-prem apps are candidates for migration, you're ready to establish their current performance baseline. Learn how to use New Relic to identify what Key Performance Metrics matter most to you, establish a complete KPI model as your benchmark data, and begin collecting your baseline metrics. As you gather metrics during and after the migration, you have a full dataset to measure and optimize against. 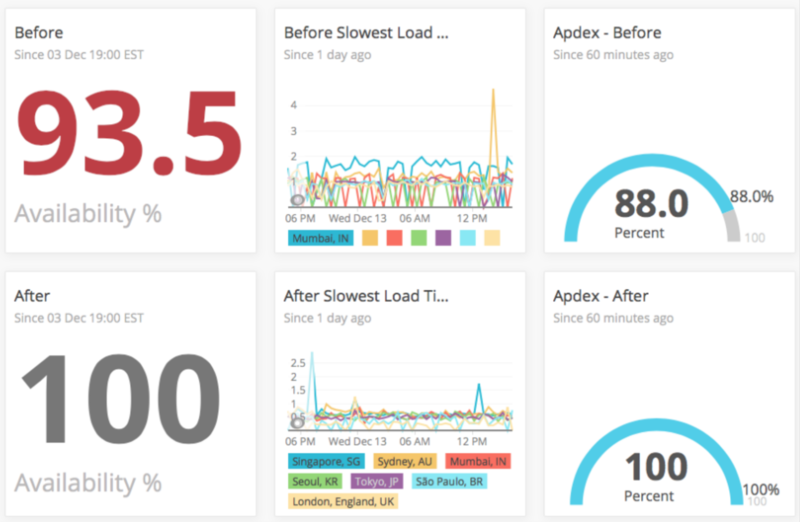 Some example KPIs you can track in New Relic APM include availability percentage, average duration, page load time, throughput, web transaction time, CPU percentage, average load, memory used percentage, response time, and Apdex.